It’s been nice and spring-like, and most of our snow melted. 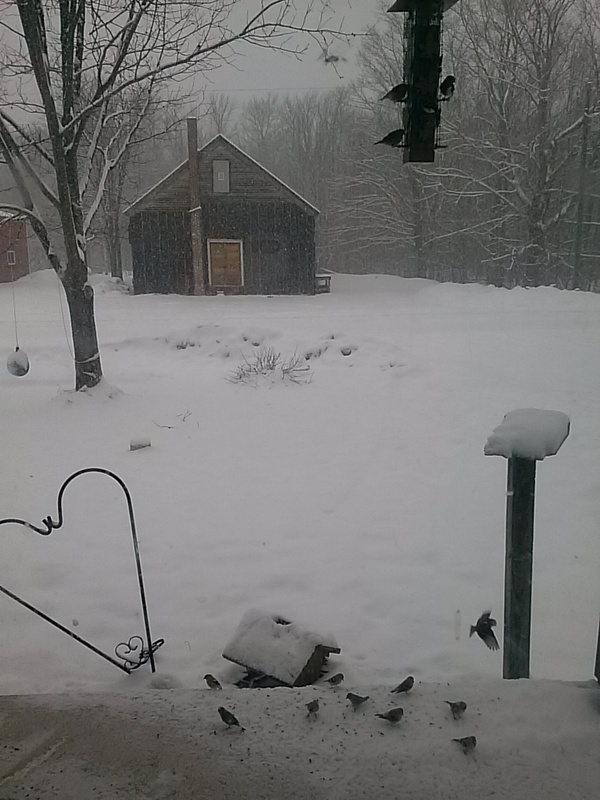 But then it started snowing last night – we’ve gotten a couple inches so far, and they are predicting 3-9″ by tomorrow night. Hopefully our warmer temps will mean it won’t stick around long. 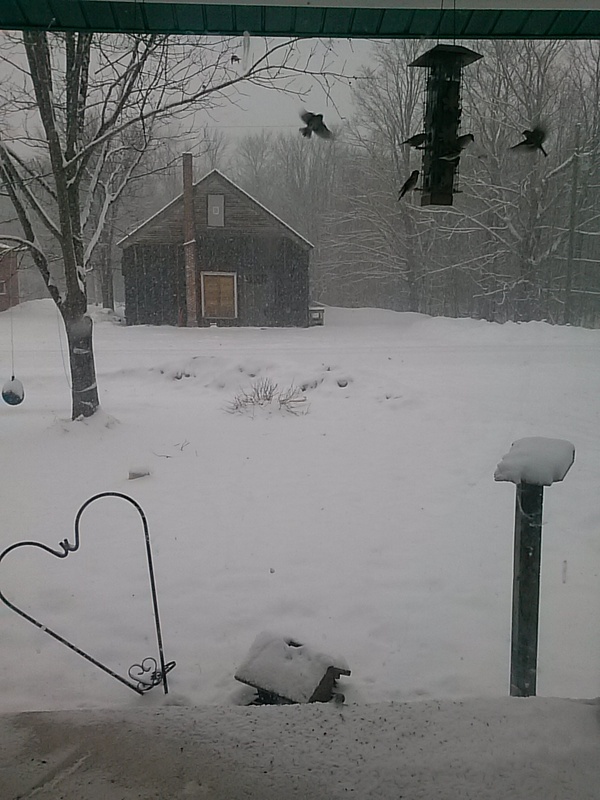 I suppose, it is only late March, and this is the U.P. 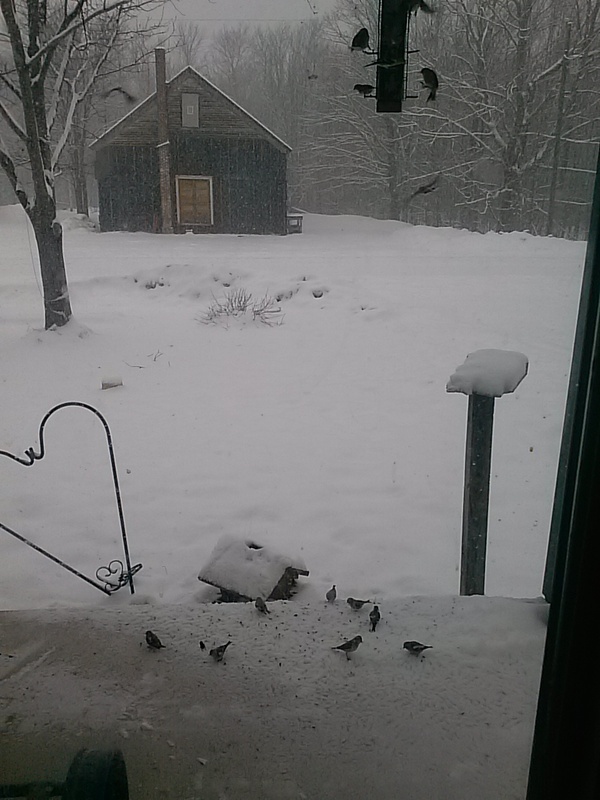 The birds at our front porch feeder have not been stopped by the snow, they are very active today. I got some cool shots out our front window. 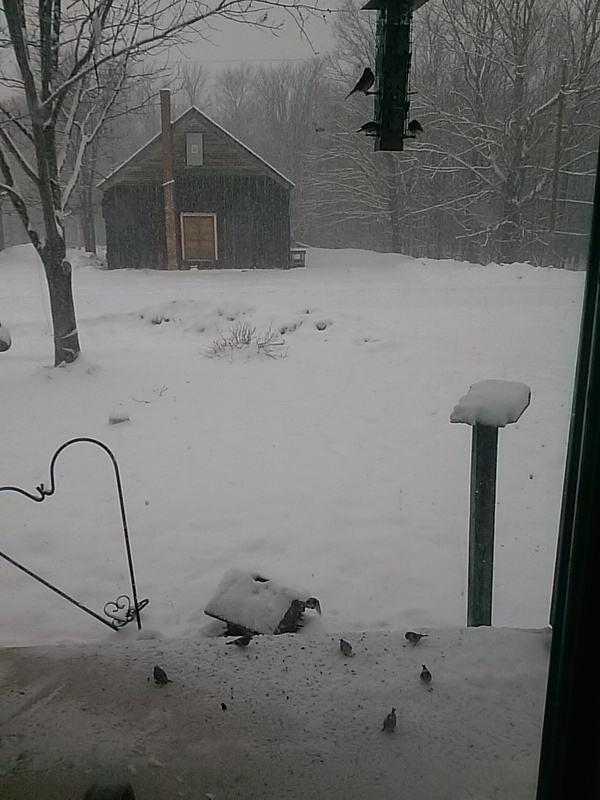 I wish the colors of some of these would show up in my pics – I think it’s mostly chickadees and finches (I think), but there are a couple of red birds that I found out are common redpolls. This is their southern winter range, in the summer they go up near the arctic. We get daily visits by squirrels and chipmunks too, but they were not here while I was taking pictures. 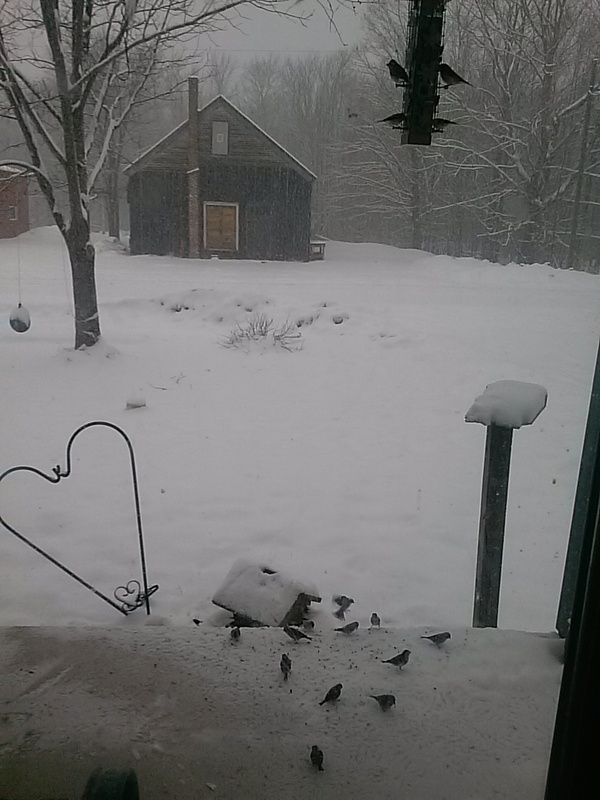 They like to scavenge on the ground for the sunflower seeds that the birds drop. We actually had some deer visit the porch one day in the winter, they were eating sunflower seeds as well.